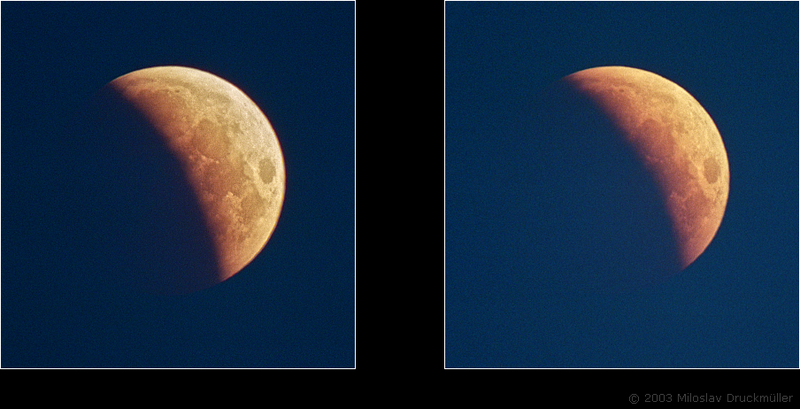 The second half of partial eclipse was influenced by daybreak and Moon's approaching the horizon. In spite of that it was still possible to suspect the totally eclipsed part of the Moon. Click on the following reference to display the same image in the maximum quality (603 KB, PNG format).